Dr. Mario Fucinari has helped train doctors and staff over the last 20 years. He received his bachelor's degree from Wayne State University in Detroit and his Doctor of Chiropractic degree from Palmer College of Chiropractic in 1986. 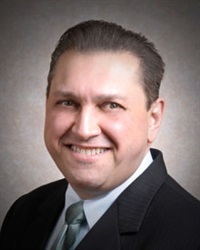 Dr. Fucinari was the recipient of the 1998 and the 2003 President's Award from the Illinois Chiropractic Society (ICS) for his work with education and training and most recently received the 2012 Chiropractor of the Year award from the ICS. Dr. Fucinari was the first chiropractic physician to attain the Certified Medical Compliance degree. Two years later he earned his degree as a Certified Instructor for the Certified Medical Compliance Program. He is now the Chairman of the Chiropractic division of the national medical compliance program. He has produced classes and publications on HIPAA, Clinical Documentation, Medicare, and Stroke and Cervical Manipulation. He is a worldwide speaker for NCMIC, Foot Levelers, ChiroHealthUSA and several state associations and a Certified Chiropractic Sports Physician [CCSP].